Bright spots in the 41st election - Elizabeth May becomes the first Green Party MP in Canadian history, and the BQ was virtually wiped out. I want to thank everyone who contributed to my campaign, whether it was time, encouragement, money or advice. I was simply the face of many who believed in a shared set of values and dreams about making Hamilton a better place. We have 4 years to rebuild-let's make good use of the time. To the NDP, you now have a major responsibility to hold the Harper government to account. Canadians will be watching. Polls are open for four and half more hours... till 9:30 PM - Don't forget to GET OUT AND VOTE! To the Ham Centre team, all our hard work will pay off today. Thanks for your incredible dedication and support over the past 6 weeks. Just one little task left - let's get that vote out! The last day of campaigning - come on down to our office at 636 Main St East for a 12:00 canvassing departure. Let's speak to as many Liberals as possible today - if you can't make it, talk to your family, your friends, your colleagues so they get out to vote tomorrow and put their X by their Liberal candidate, Anne Tennier! Televised debate tonight on Cable 14 at 7:00PM Tune in! We're into the last 2 weeks of a terrific campaign so far. Thanks to my volunteers who continue to work tirelessly every day. If you can spare some time, come on in and help out. I am proud that I belong to a party that advocates for transparency and respects government. On another note, do not forget that the debate starts in less than an hour! Our five-point plan for Canadian Youth. A friendly reminder that we are the only party focusing on youth in this election. Thanks to Alex Sévigny for his kind words! 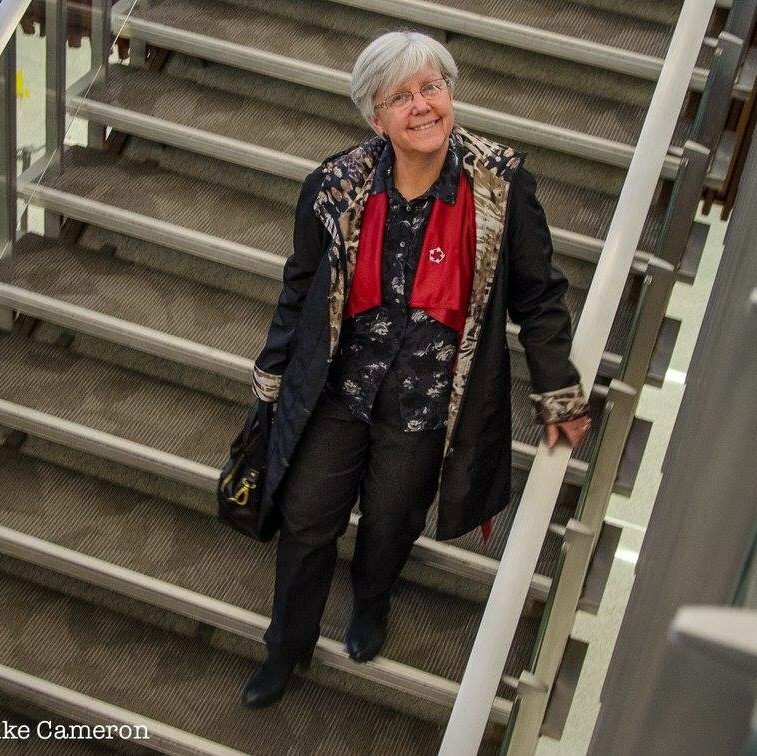 "... Anne Tennier, candidate for Hamilton Centre, who expertly and enthusiastically welcomed Michael Ignatieff and announced his entry into the hall. her intro was warm and from the heart – an excellent preview of what would be the night’s themes: inclusion, enthusiasm and honesty." Our neighbourhood open house yesterday was a great success - about 80 people came by to enjoy the sunshine, hot dogs, cookies and fruit and talk a little politics. Then off to a terrific canvass on the west Mountain - lots of enthusiastic Liberals! Week 3 starts today! Thanks to all my campaign volunteers who continue to work tirelessly to return Hamilton Centre back to Liberal red. You're an inspiration every day. President & CEO, Cdn Centre for Occupational Health & Safety. Observer of politics at all levels. All views are my own. Retweets do not imply endorsement.